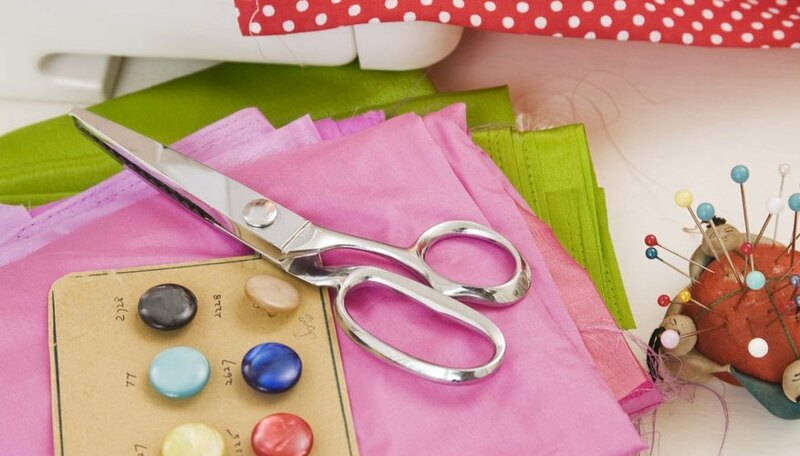 Teaching teens sewing skills is an important life skill that will save them time and money in the future. For many, learning how to sew is difficult and frustrating. Using patterns and projects designed for beginners in fabrics that are easy to sew is important to prevent frustration while learning how to sew. Projects in this article are focused at girls, but boys may find these projects fun and informative as well. Choosing the right fabric is important for beginner sewers. Fabrics with a large amount of stretch like spandex or bulky fabrics like faux fur will not sew as easily and may frustrate beginners. Choose fabrics like woven cotton for easy projects that require large amounts of tailoring are not easy for beginners to master. Most manufacturers of sewing patterns have projects designed to be made by beginners. These patterns will have less complex stitching required and fewer pieces to cut and stitch together. Some brands that are designed for beginners include: Simplicity's "It's So Easy" collection, Butterick's "Fast and Easy" or "See and Sew" pattern collections or KwikSew's "Kwikstart" patterns. Tote bags are easy for beginners to create. For a 14-by-14 inch tote bag, cut two 15-by-15 inch squares of canvas. You will need two pieces of one inch webbing 24 inches long. For longer handles, increase the length of the webbing. Mark one inch from the top of the canvas. Fold and iron the fabric so that the top edge is folded down. Sew the edge in place, close to the raw edge of the fabric. Repeat for the second piece of fabric. Sew the webbing onto the side of the bag that does not have the sewn edge. The webbing will make two vertical stripes and have a handle loop. Repeat for the second bag. Place the right sides together and sew the side and bottom seams together. Turn the bag inside out and use. 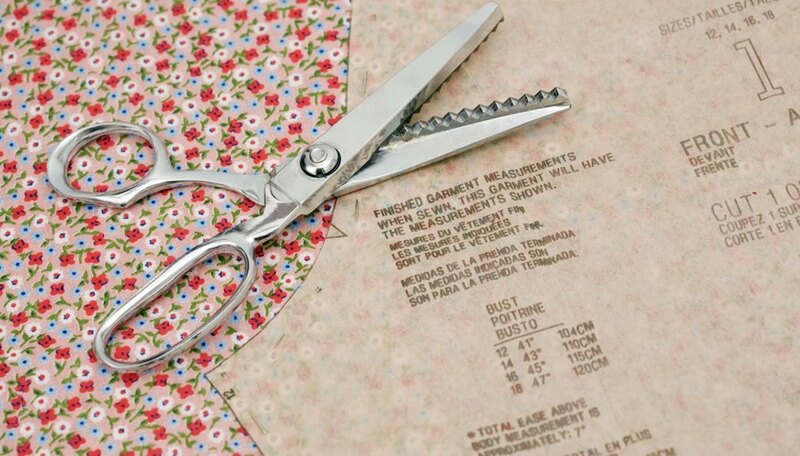 Cut out two squares or rectangles the same size out of fabric. Sew the right sides of the fabric together one-half inch from the cut edge of the fabric on three sides. On the fourth side, sew all but three inches of the fourth seam. Turn the fabric inside out so that the right sides face out. Stuff the pillow with polyester fiberfill or other pillow stuffing. Close the pillow by handsewing or topstitching the open seam. Natalie Roberts is a college student at the University of Kansas studying journalism, public relations and advertising. She has been writing for student newspapers since 2004, specializing in editorials and public interest stories. Roberts is also an artist who works in the forms of ceramics and found art. She has expertise in politics, animals, vegetarianism and crafting.